Home Chuck Norris Kris Letang Le Trial and Tribulations Pittsburgh Penguins Le Trial and Tribulations of @Kris58Letang: Me for Chuck Norris? 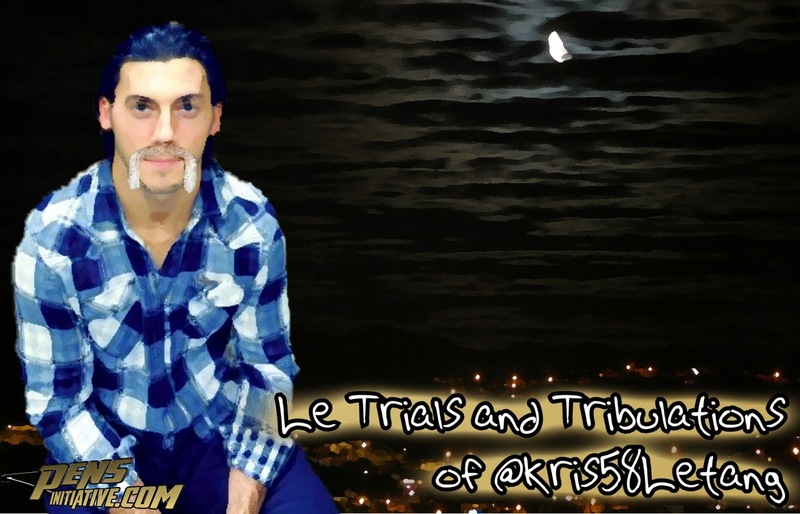 Le Trial and Tribulations of @Kris58Letang: Me for Chuck Norris? Allo my friends, it is your pal writing to all of you on the internets! I hope your day has been really nice! My day has been pretty good. Started out with some work outs, played some video games and watched some pretty funny videos on the YouTube! After that though, I got a little bit confused so I figured I would write to you, my readers with hopes you can clear a few things up for me. I got on the Pens Initiative Facebook page where I saw a post about your old buddy Letang and saying Letang For Norris with a number sign before it. It looked like this #LETANGforNORRIS. At first this confuses me because I thought Penguins fans liked me again? Why would they want to trades me? So I figured this Norris guy must be pretty good! So i went back to the internets to look! My search was a long one but brought me to the man you all speaks of. Chuck Norris. First thing that I noticed was that Chuck Norris doesn't even play the hockey. HE DOESN'T PLAY THE HOCKEY! Why would fans want to trade me for someone who does't play hockey? This makes me think that their teams on NHL 15 GM mode are a huge messes. At first I thoughts that you Penguins fans were being sooo stupids again until I continued to read about him. I learned a few things that were pretty interesting. First, I read that when Chuck Norris walks into a room that mice jump on chairs. I am so scared of mice that when I see them I jump on chairs! I wonder how he can be so scary that something as scary as a mice can be so afraid of a Chuck Norris. Then I read that when Superman goes to beds that he wears Chuck Norris pajamas. What?! That is crazies because when I go to sleeps I wear Superman pajamas! This Chuck Norris guy must be pretty awesome! I kepts reading a huge list of what I assume are Chuck Norris credentials when I got towards the end where it said that Chuck Norris is the reason that Waldo, you know from 'Where's Waldo' is hiding. This Chuck Norris must be really strongs and scary if a bunch of books have been dedicated to the fear he put into one man! At this point I started to gets really scared so I picked up my phone and I called my best friend, Marc-Andre. I said "Allo Marc-Andre!" and he said Hi.. I told him about the people on the internets who wanted me to be traded for Chuck Norris and told him all the amazing things that I learned about him. He told me that I am a good hockey player and I should not worry. He then told me that he just saw a buddy of his asking him what he thought about Letang for Norris and he said I might be in trouble and started to laugh at me.. I screamed "Screw you Marc-Andre!" and I hangs up the phone. He can be such a jerk sometimes.. I hope we trade him for Chuck Norris! Okay, no I don't..
Anyways, I should probably go and train more! I am really hopeful to win the defenseman of the year award and you got to play and practice really hard to get such an honour! Plus I need to step up my game if I don't want to be traded for Norris. I will talk to you guys later and I hope by then I will still be a Penguin! Oh, and screw you, Chuck Norris! *This is a joke.This is not the real Kris Letang.